Volkswagen presented the latest serial Beetle and Beetle Cabriolet with an appearance of the Final Edition special edition. Beetle is declassified in Los Angeles. The basis of the Beetle Final Edition is Última Edición, which was released 15 years ago. 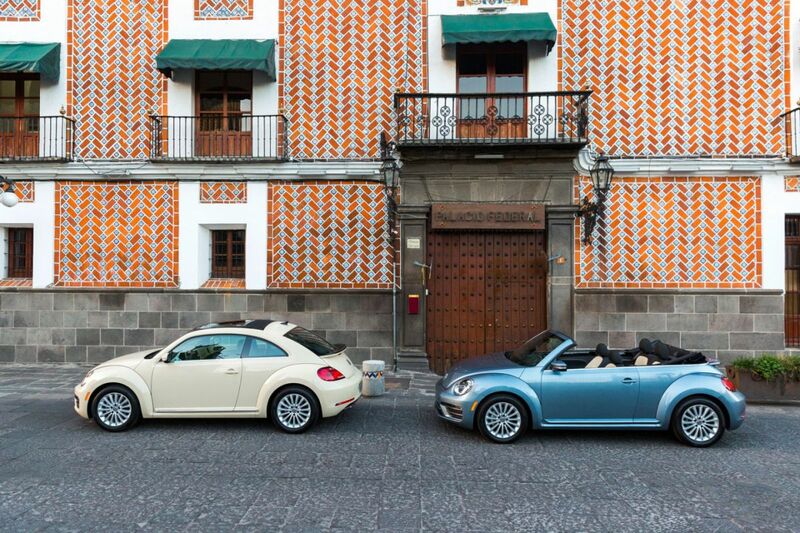 By type of Última Edición, the last Beetle can be bought in exclusive shades: beige Safari Uni and light blue Stonewashed Blue, plus plain white Pure White, mother-of-pearl black Deep Black, and also Platinum Gray gray. The convertible's fabric roof was made brown. Final Edition is different and Beetle inscription on the back door. For Beetle Final Edition provided a 176 "horse" power motor that was unavailable for other versions of the model with a six-speed "automatic".